Collaaj is a multi-stream video capture tool that is simple to use, featuring a powerful end viewer experience. Teachers and students can produce their own learning journey, enabled by the ability to record screen/ppt and up to three camera inputs into one single video. Quickly develop blended and flipped learning images on the fly. Highlight lectures, tutorials, lessons, presentations, training, FAQ, articles, Vlogs and so much more. Our live-encoding technology works in the background to collage your message into one powerful MP4 file that creates an instant video the moment a user hits stop – no waiting or post-processing. Built-in editing features enable trimming, clipping and adding titles and credits making your video ready to share with your classroom or school immediately. Once completed and shared, the viewers learning experience is deepened by controlling unique PPT text indexing features that extract all the titles, slide text and speaker notes, which allows text search-ability for the end viewer to quickly identify the section of the recording they want to re-play. This embedded approach allows them to manage the actual speed, and overall point-of-view they’d prefer to see, while leaving comments directly on the video for a collective classroom experience. Collaaj also brings video streaming capabilities to Canvas, Blackboard and other LMS platform users, via a LTI module. Teachers (and even students, if configured) can login to their LMS, to create or watch course videos directly from their platform. Collaaj was Sloan Consortium’s LaunchPad Top 10 Startups in 2014, and selected for EduCause Startup Alley in 2013 & 2014 and invited back as a start up Alumni in 2017. 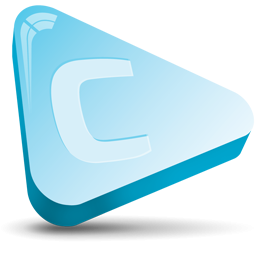 Collaaj powers world leading capture tools and has partnerships with CaptureSpace, Ensemble Anthem, Aldea Screencast, etc. Collaaj is also a strategic partner with Canvas and Blackboard and the list continues to grow each year.